OPENING NIGHT! The annual "Holiday Night Lights" drive thru display at Rotary Park in Wentzville will begin on Friday, November 23rd and runs through Saturday, December 29th. Admission is $8 per vehicle with up to 6 people, vehicles with 7 or more people will cost an additional $1 per person. A Holiday Night Lights Walk-Thru will be held on Monday, December 3rd. See website for more information. 5:30-9:30pm | December 13th - December 29th | open Daily (closed Christmas Day). The Rotary Park a 72 acre park that features an amphitheater, a 5 acre fishing lake, picnic sites, a playground and more. 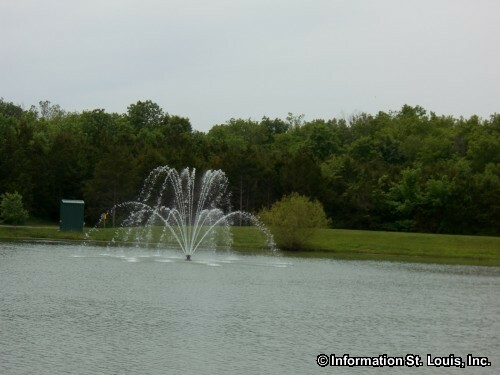 The park is home to the Greater St. Louis Renaissance Faire on four consecutive weekends in May and June, the St. Charles County Fair during July, and the Holiday Night Lights display during the Christmas season. Directions: Located off of W. Meyer Road, just north of Interstate 70 from either Highway W or Wentzville Parkway.